England against Wales will be the most expensive Test in town for some desperate fans with tickets now selling for up to £3,500-a-pair. The NatWest 6 Nations clash has been officially sold out for months, however, as with most major sporting events around the world, people are flogging their seats for eye-watering profits. And after both sides got off too winning starts, also securing bonus-points, ticket prices blasting ticket prices through the roof to record – extensive – highs. Tickets for the match on re-sale website StubHub can be as much as £1,750 each. That pair had an original face value of £100 each. 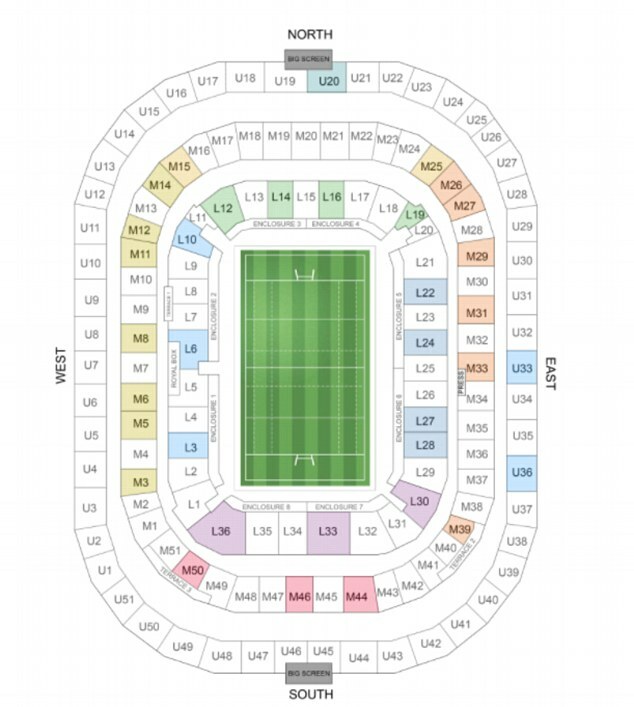 And with rival re-seller Viagogo two seats in the middle tier, near the halfway line, were priced at £1,672 for a pair. Both websites between them still have hundreds of seats available to buy – for one with the worst view in the upper tier, the price starts at £240 a ticket. The Rugby Football Union (RFU) has warned fans against buying these sorts of second-hand tickets. 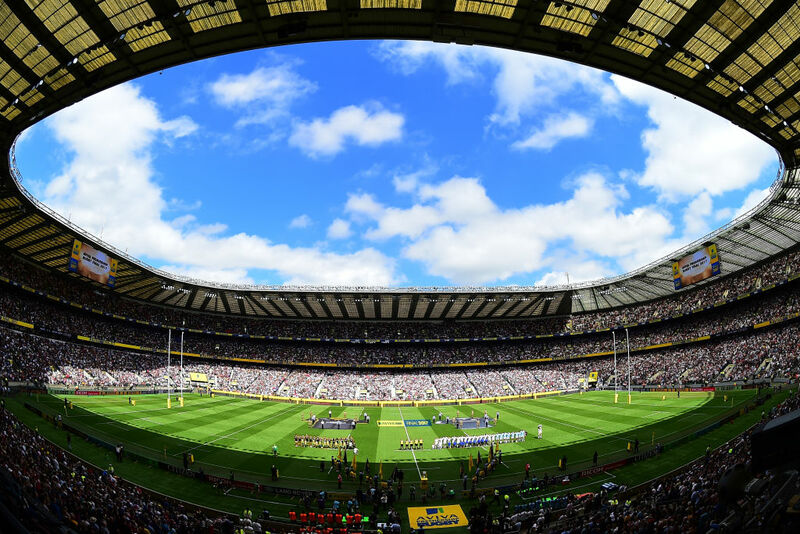 An RFU spokeswoman said: ‘We are out there every day monitoring, checking and challenging the secondary market sites which are advertising Twickenham tickets in breach of our terms and conditions.